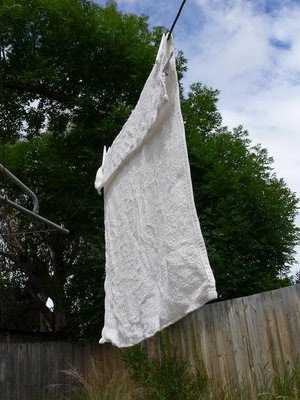 Well after five years of washing, the last nappy is flapping on the line out there, about to be brought in and folded and put away... Hooray for undies!!! It's one less thing to do, but really it wasn't the hassle I thought it would be. I was often surprised when people told me I was "mad" or "really good" for washing all those nappies. If you haven't heard of modern cloth nappies (not the type hanging on my line up there) and how easy it can be, have a look here or here and spread the word.